Preschool cap and gown page. 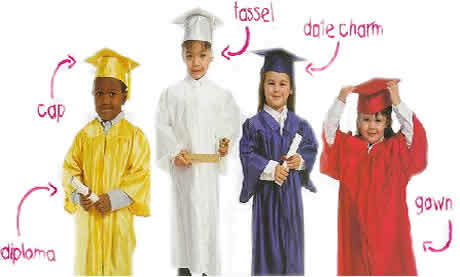 We offer very nice preschool graduation regalia sets, of cap, gown, tassel, year date charm and diploma, all at a very reasonable price. We offer quantity discounts, so the larger the graduation, the more you save. As with any regalia, we will need some specific information about the people who will be wearing it. You'll find a list of that information further down on this page. We sell to schools, individuals and home school groups. 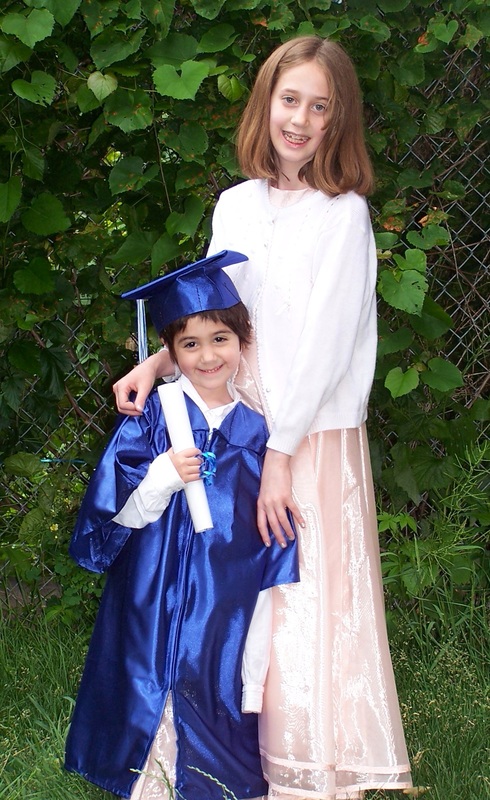 We also offer regalia for high school, elementary and middle school, as well as regalia for university graduations. Quantity of Gowns needed, per size. See preschool height chart below. 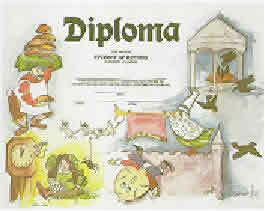 Do you require diploma? If so, preschool or kindergarten? 6% subtotal (quantity of sets x price per set) for shipping/handling/insurance. We would need to know the QUANTITY, PER GOWN SIZE that you require. Please do not give us everyone's name on a sheet of paper with their measurements. Instead figure out from chart below how many students you have in each of these sizes and give me the TOTALS of those individuals, so we can determine the correct size gown for them. Note, prices above are per person/ set.